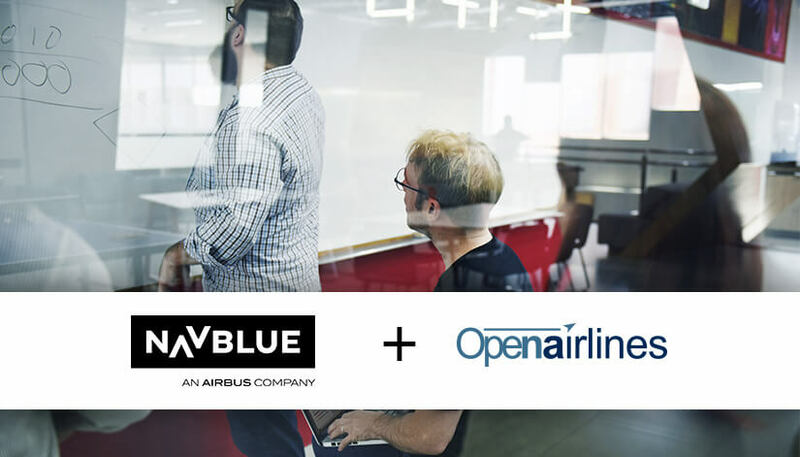 Airbus Company NAVBLUE partners with OpenAirlines on fuel-saving analytics solution. Today, at Paris Air Show 2017, NAVBLUE, the Flight Ops and ATM services company, an Airbus company, has signed a MoU with OpenAirlines, a global leader in eco-flying solutions, to become a reseller partner for its solution called Skybreathe®, a comprehensive fuel preservation solution for airlines. Skybreathe® uses Big Data algorithms and automatically analyses the large amount of available data in flight data recorders to assess flights’ efficiency. Results of the analysis are displayed into an intuitive interface accessible from desk computer, laptops, tablets and mobile. Skybreathe® will constitute the Optimize module of the Analytics by NAVBLUE suite, which will help operators to save more than 2 percent of fuel. “We’re very excited about the promise both companies are committed to fulfilling through this partnership,” explained Alexandre Feray, CEO of OpenAirlines. ”It is especially advantageous for our current and future customers since the reduction of fuel consumption along with the environment protection and boosting profitability have been on the wish list of airlines worldwide for a long time. NAVBLUE is a leading global provider of flight operations solutions and this close cooperation will help improve airline performance. With our common innovative mindset, NAVBLUE is an ideal partner, we look forward to working hand in hand with them.” pursued Alexandre Feray. NAVBLUE is already serving more than 400 airlines and aviation service companies across all platforms providing its customers with the best solutions based on the best data, fully supporting them in their digital transformation. OpenAirlines is an international software company based in Toulouse, the cradle of Aeronautics and Space, which helps airlines worldwide save fuel and cut CO2 emission. Their well-recognized solution SkyBreathe® is currently assisting 22 airlines across the world with any fleet type, to greatly enhance existing fuel-saving initiatives and helps them save millions of dollars and thousands of tons of CO2. What does it mean for our customers or prospect ? This does not change the way we do business: we remain an independent startup company that continues developing, selling and supporting our solutions independently with the innovative spirit, professionalism, and passion that has made our reputation. But now airlines have the choice to purchase them directly from us or integrated through the Navblue Analytics offering. To us, this endorsement from Navblue and Airbus is a recognition of the quality of our work and of SkyBreathe, the most advanced fuel saving solution in the marketplace. OpenAirlines was founded in Toulouse, France, in 2006 to meet the needs of airlines wishing to optimize their flight operations and reduce costs. Leveraging a team of airline specialists, it offers innovative software solutions to save fuel (Skybreathe®), manage crews (CrewIntelligence™ and CrewPad™) and fleet (OptiFleet™).